The history of American dance reflects the nation’s tangled culture. Dancers from wildly different backgrounds learned, imitated, and stole from one another. Audiences everywhere embraced the result as deeply American. Using the stories of tapper Bill “Bojangles” Robinson, Ginger Rogers and Fred Astaire, ballet and Broadway choreographer Agnes de Mille, choreographer Paul Taylor, and Michael Jackson, Megan Pugh shows how freedom—that nebulous, contested American ideal—emerges as a genre-defining aesthetic. In Pugh’s account, ballerinas mingle with slumming thrill-seekers, and hoedowns show up on elite opera house stages. Steps invented by slaves on antebellum plantations captivate the British royalty and the Parisian avant-garde. Dances were better boundary crossers than their dancers, however, and the issues of race and class that haunt everyday life shadow American dance as well. 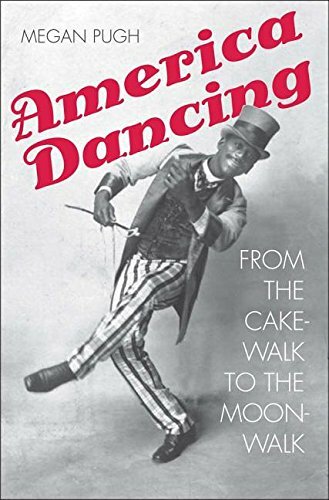 Deftly narrated, America Dancing demonstrates the centrality of dance in American art, life, and identity, taking us to watershed moments when the nation worked out a sense of itself through public movement.